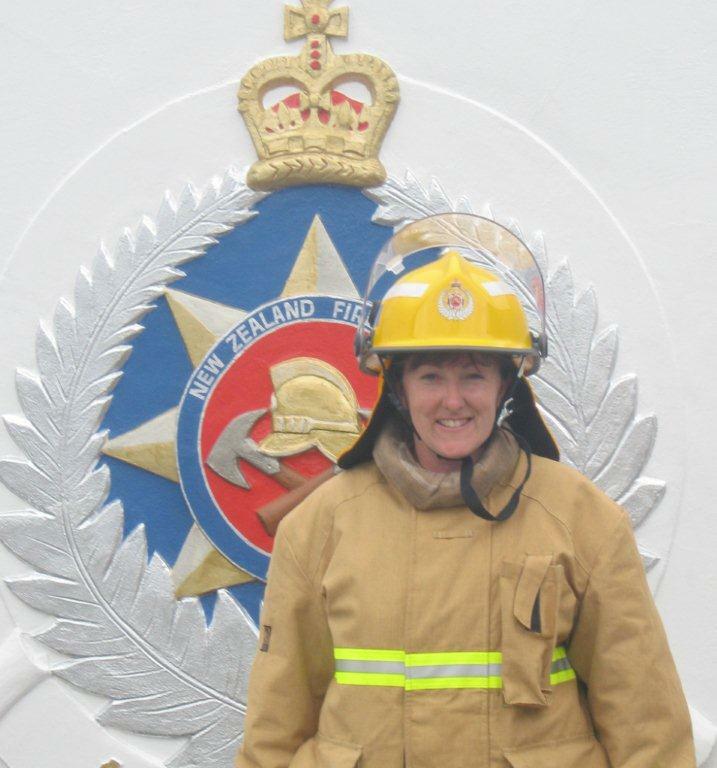 Rivettingkatetaylor is one of the country’s newest volunteer firefighters. Normally I spout forth regularly about what I get up to, especially something this major. But for some reason, I have been shy to yell about it. 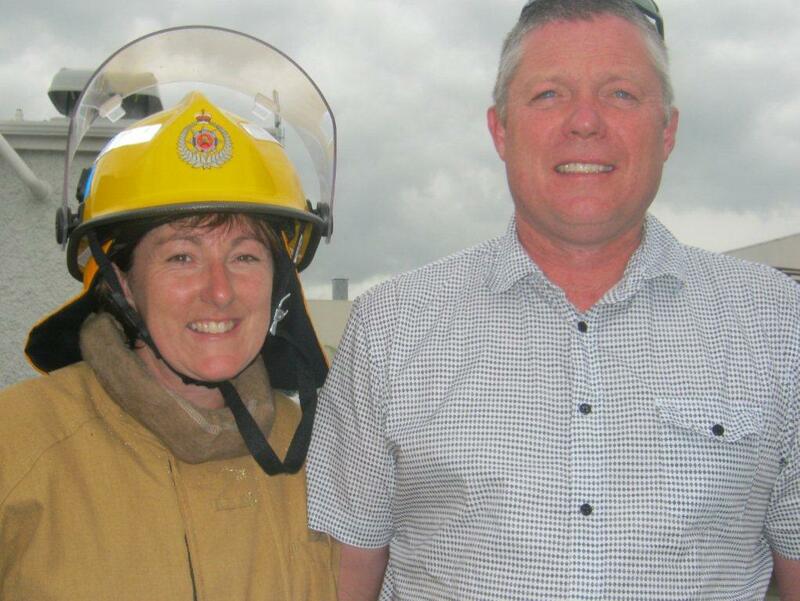 But now I’m not “just” a recruit – I have given up my red helmet for a yellow one. I’m official. 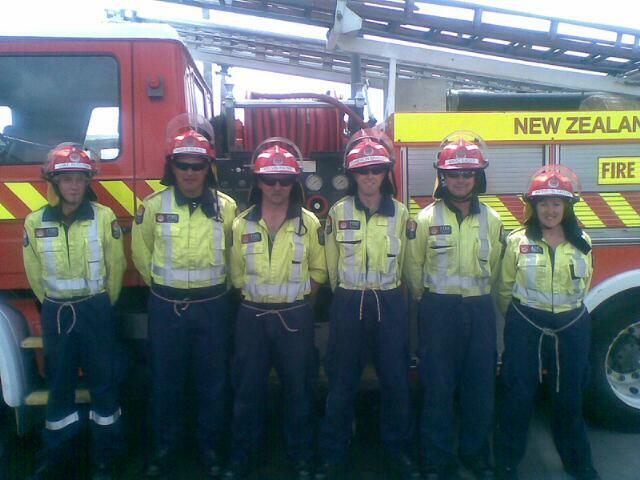 Two other chaps called Damien and Jason have joined me as the three new firefighters of the Takapau Fire Brigade. Along with 15 others from Wairoa to Pahiatua. And what a week we have all had. Focus. Commitment. Team work. All culminating, technically in the passing out parade but realistically, one day earlier, sitting in a little concrete room with a fire burning in the corner. The “RiftB”. RFTB. Realistic Fire Training Building. Freaking awesome – that’s what RFTB stands for. The Fire Service has so many acronyms!! One of them is PPE, Personal Protective Equipment, in our case Level 1s (overalls, workboots, general purpose gloves) and Level 2s (more substantial clothing, structure gloves and fire boots) and breathing apparatus (BA). Everyone had told us about the time pressure to get your breathing apparatus on and working. Don and start…. 90 seconds later…. swing, shoulder straps, mask neck strap, waist straps, turn on cylinder, mask, straps, first breath mechanism, mask cavity test, low pressure test… wait…. flash hood, helmet, gloves. did I forget anything? No-one’s yelling at me. Tally to entry control and in we go. Visability is low under the smoke layer. Stand up. Visability zero. Sit down. Control your breathing. No panic. Search techniques. Tunnels and hatches. Warning whistles. Laboured breathing. Control. No panic. No problem. 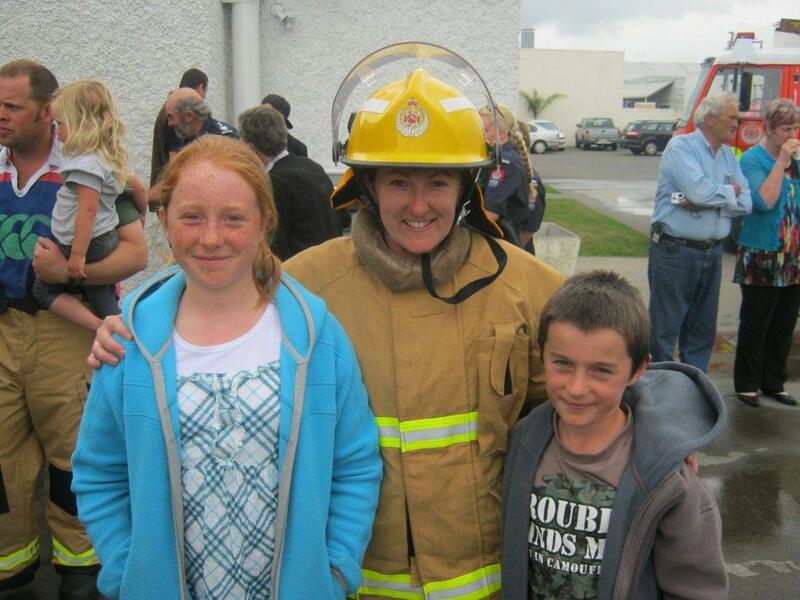 Firefighter Kate Taylor. That’s me. How cool is that? The most important people in my life this week? Paul#1, Paul#2 and Paul#3 (otherwise known as Shep), Mike – the amazing knowledge tap (who changes colour after a day in the RFTB); VSO Steve with the creative photographic skills and everyone else that came to help teach a rough bunch of volunteers how to be firefighters. Thank you. The second most important people in my life this week? Syndicate two: Damien, Gator (Calvin) from Pongaroa, Meager (Mark Eager) from Napier, Luke (Tikokino) and Cameron (Ormondville). Not to mention the other faces from the week – Jason (Takapau); Amanda and Andrew (Wairoa); Matthew and Bjorn from Taradale; Lucy from Napier; Mike from Hastings; John from Haumoana; Alan from Waipawa, Mark the publican from the Porangahau Duke of Edinburgh pub; and Shaun and Michael from Pahiatua – all of whom, at one stage or another, were on the other end of line, a hose or a ladder (or all running together inside a bunch of lines tied together with extremely stunning reef knots). that's me about seven from the right -yes, the short one in the middle row! Never, of course, underestimating the power of the wonderful people we all left at home – allowing us to spend a week learning how to be firefighters. Thank you to my Thomas, Sarah and Lachlan, it’s nice to be home. I have had an awesome week. Now I just have to wait for a callout…. 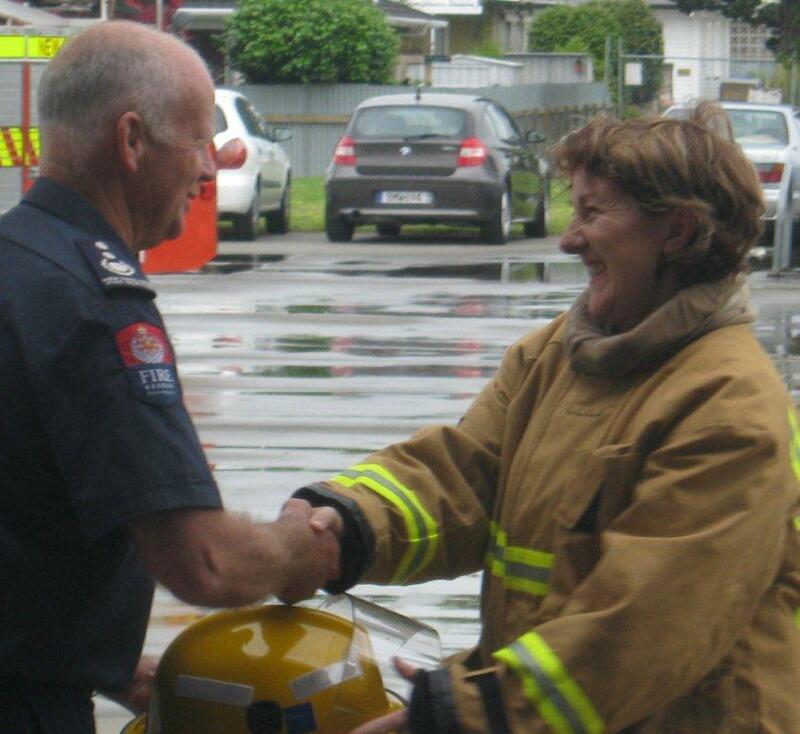 Well done Kate welcome to the NZFS . Good on you darling daughter – girls can do anything. Hey Kate, Great to see you are still right in the mix of things!!! I was thinking of our time in Herrshing with Juanita and wondered how you both were – now I can see what you are up to. Hope life is treating you and your family well…..drop me a line sometime….